Very popular ever since its arrival on the market, this one surprised many people by the fact that it was being constructed not only as a four season vacation home, but oftentimes as a residential home. We must say that it does possess many assets to just limit construction uniquely as a vacation home.First, the exterior presents a façade in relief thanks to the conjugation of two peaks and also by means of original mouldings both at the head of the angled door as well as at the head of the upper level window, and without forgetting that beautiful arched window which everyone cannot help but appreciate. Inside, these assets translate into the presence of a bedroom on the main level, a surprising fact for a home of such size, and by an entirely open activities center adorned by a cathedral ceiling over the living room thereby expanding the interior space. At the upper level, this popularity is justified by the presence of liveable space in the mezzanine, which many will appreciate converting into a third bedroom. Question: Can I add 4 ft. To width to add washer and dryer in porch area? Does upper level sitting room look down in living room? Question: What is the turnaround time when this plan is ordered on basement? If I order the original plan and then decide we need the readable reverse, can I pay the readable reverse fee and order additional sets reversed? Answer: Good day, To receive this plan in the standard basement version would take 2-3 business days if ordered before next Tuesday. (we will be closed as of July 22nd) And yes, the extra $150 can be paid for the right reading reverse option at a later date if needed. However, there is a 6 business day delay for this. Question: in the area behind the shower on the main floor, can you put a stackable w/d? Question: how do you suport the second floor asross the living room? how thick does that make the floor? Answer: The living room is open on 2 levels (open to below) and the trusses are supported by the exterior walls. The floor is 9½’’ prefabricated joist (as per manufacturer) and are from front to back. I hope this helps!! Question: Is there a plan for this house without a basement that includes a laundry and utilities area? Is the area off the second floor living room open to the living room below? 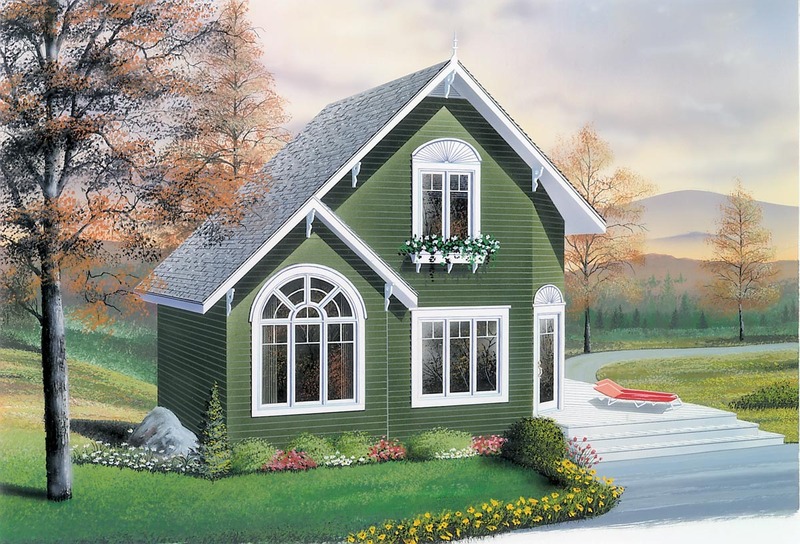 We really love the small but seemingly spacious floorplan. This plan can be ordered with an optional foundation on a slab, in which case there would not be a basement. The washer and dryer would need to be the kind that is stackable and would be under the stairs but there is no utilities area with this kind of arrangement. The area off the second floor living area is open to the living room below. Other similar plans, such as 65232, 76149 and 65003 also have the full basement as the standard foundation but could be ordered with the optional slab foundation as well. Answer: On the 1st level, the area behind the bathroom is the foyer (main entrance). It includes a closet and a storage area with shelving and its dimensions are 10'2" X 4'10". The laundry area is located in the basement, underneath the living room. 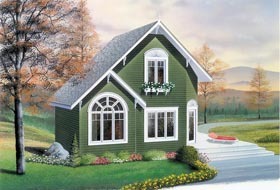 The garage that has a coordinated look with this plan is plan 65238. If you have other questions, please ask us. We will gladly answer them. 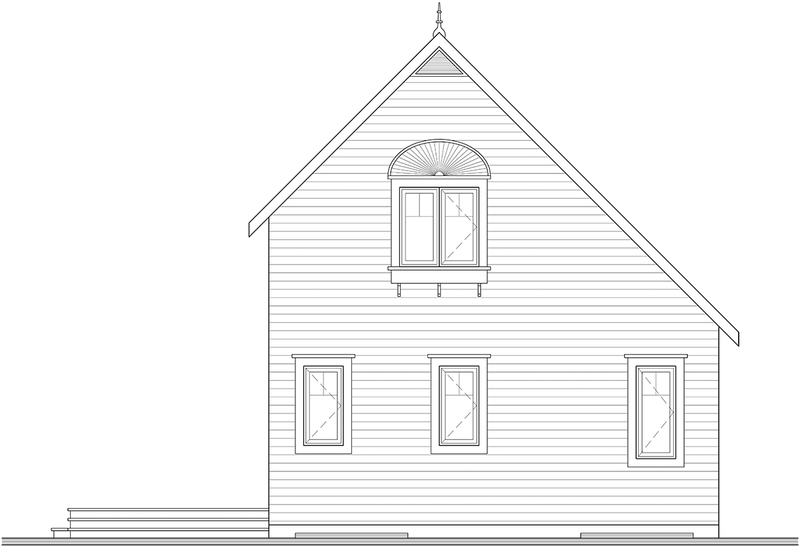 Question: House Plan 76168 Does this plan come with approx. 1100 sq ft basement. I love it, but it's a little too small for our needs. Answer: This plan includes a non-finished basement which can add over 550 square feet of living space, for a total of 1500 square feet. This plan could also be modified and enlarged to meet your requirements.